A guidebook for kids and adults who are looking for adventure in Sacramento and beyond, bursting with 1,001 local activity ideas. Use this treasure trove as a jumping off point for exploring our rich, historic, cultural region and its rich, natural beauty and varied landscapes, not to mention the abundance of educational opportunities and museums. 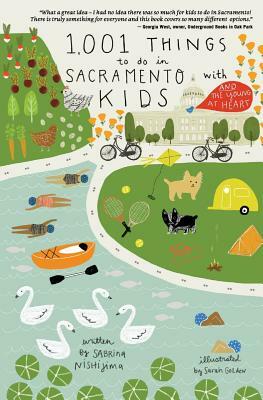 Local author Sabrina Nishijima uncovers all the hidden gems for kids in Sacramento (or people who want to feel like a kid ) and visitors who step into this magical region. Local illustrator Sarah Golden contributes charming kid-friendly artwork.